“ The objective of bodhicitta is the search for primordial wisdom. ” * Join us for a rich 4 days of teachings from Lama Mark Webber on the essential topic and meditation of generating Bodhicitta: the outer, inner, secret and suchness aspects. His main focus will be on the practices found within the Nyingma-Dzogchen Preliminary Liberating Instructions. These teachings are open to all Buddhist practitioners. [Commentary on these precious practices will be drawn from Lama Mark’s root teachers, the Gonpo Yangzab tradition, the Longchen Nyingtik, Je Gampopa’s Jewel Ornament of Liberation, Patrul Rinpoche’s Words of My Perfect Teacher, and the 3rd Dzogchen Rinpoche’s The Great Perfection, outer and inner preliminary liberating instructions.] 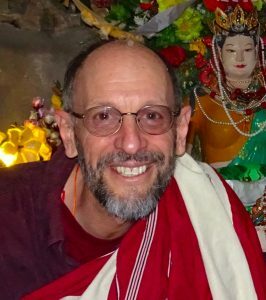 Lama Mark will be pleased to draw upon other sources of generating bodhicitta from participants’ practices and explorations. Lama Mark has written a study guide that will be available for these classes. Location 36 Vanson Ave. *Please plan to arrive & be settled at least 5 minutes before scheduled class time. Times Friday June 16th @ 7:30 pm. Saturday 17th @ 9:00 am & 7:30 pm Sunday 18th @ 9:00 am & 7:30 pm Monday 19th @ 7:30 pm Contact Trudy Gold @ tgold@magma.ca Cost: Suggested donation for a class is $20 – $30, or whatever you can afford. 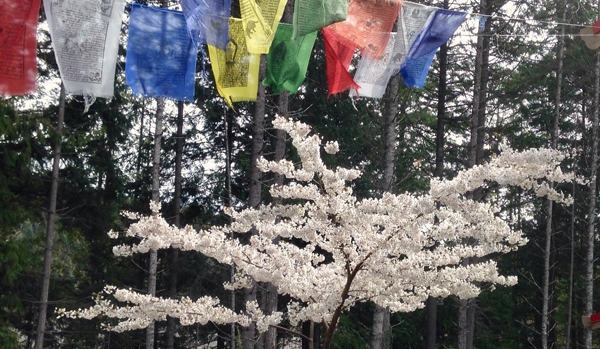 Traditionally in the East, and at our dharma classes in Ottawa, there are no course fees for teachings. Dharma is offered freely. However, traditionally, dharma students offer dana (donation or generosity) in return for teachings. It is this unique cycle of mutual respectful dependence that has kept the Dharma thriving for 2600 years. Each time we receive teachings, it is an opportunity to consciously practice dana, which translates into English as “generosity.” Since the teachings are priceless, one determines the kind and amount of dana according to one’s heart. Let your donations reflect not only what you can afford but also the effort, hard work and years of dedication that have been spent in order that you might receive the great benefit of these teachings. A dana bowl for direct contributions to the teacher will be present at all talks and the dana contributed to that bowl goes directly to the teacher. At the Teachings, there will be a second bowl out for your dana to support Crystal Staff’s aspiration to provide financial help with visiting teachers’ travel and accommodations. Your dana to the second bowl supports your dharma community’s ability to bring Teachers to Ottawa. ~~~~~~ *Ornament of Mahayana Sutra.